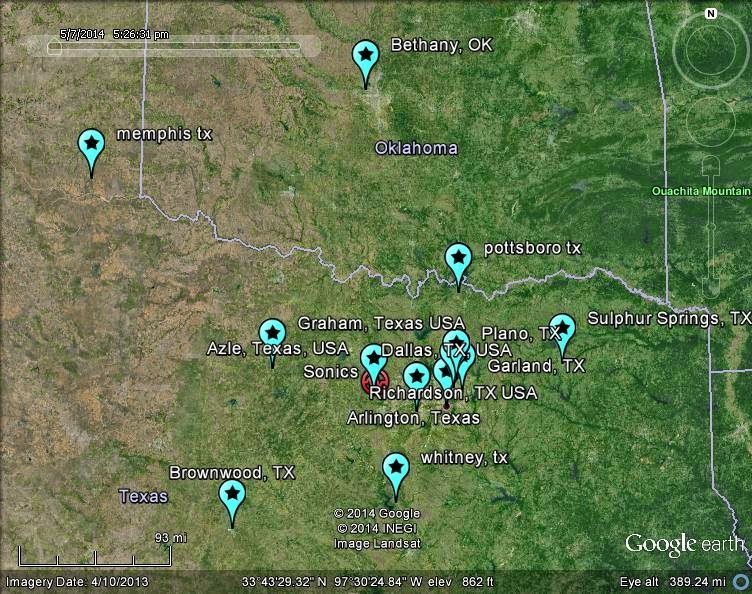 Texas / Oklahoma Meteor Approx. 0545 30JUN2014 w/ Sonics! 30JUN2014 Kohl S. Azle, Texas, USA 600 4-5 seconds I was facing north. 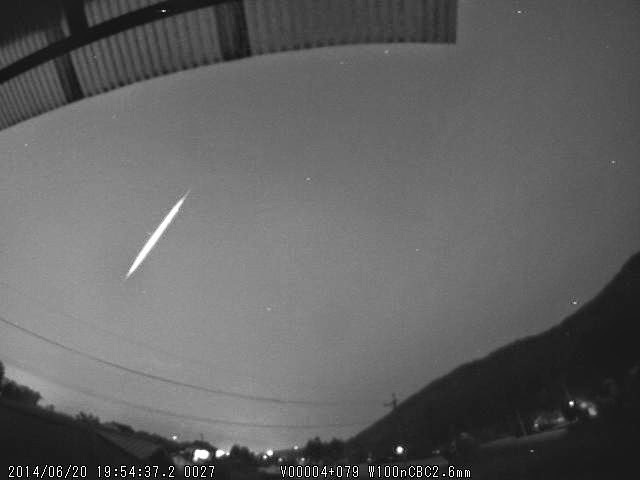 The object appeared in noethern sky, heading south bluish, white fireball with orange streak behind. I heard a boom roughly 20 seconds after the object disappeared from view that sounded like a soft roll of thunder. brighter than venus, brightest object in the early morning, pre-sunrise sky one or two small fragments falling along side that appeared to be drifting laterally away from the large object. I wish I had a photo, it was a spectacular sight! I'm guessing it was a piece of space debris. 30JUN2014 I was driving on the tollway in Plano Texas at 5:54 am when I saw a large fire ball crossing the sky, fairly low that lighted up and had a tail that would show sparks ! It was a lot larger than a "falling" star and much lower. I hope you'll receive more reports ... -Delia L.
Bright Fireball 30th June 2014 from Richard Fleet on Vimeo. 30JUN2014 Chris Oldbury, Birmingham, UK 1:30 - 2:00 I saw from the gap between houses so I witnessed a second of it. SE White From my perspective, seeing it against the sky, it looked the size of roughly 20 stars with corresponding brightness No Very fast and strong. I thought I saw another about a minute later (moving in the same direction) but it was moving a lot slower and may have been a particularly fast aircraft. 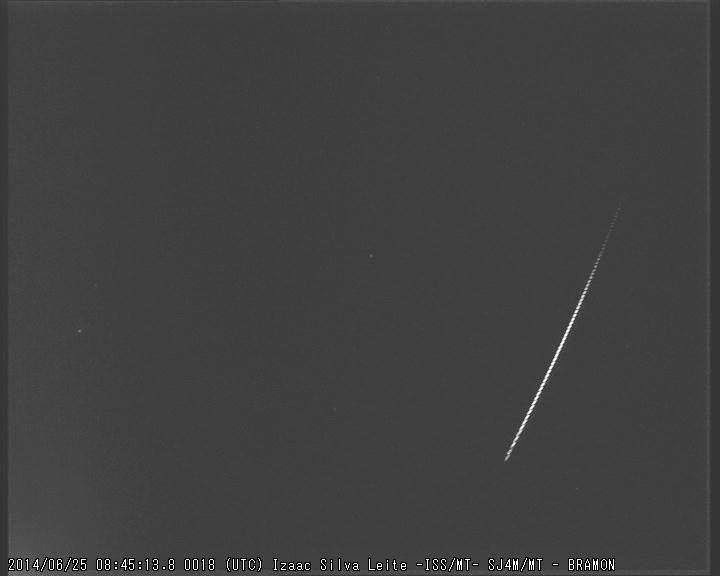 Captured from Exeter Meteor Camera on 30 June 2014 at 02.04.25. 1908 Mystery in Tunguska, Russia. Meteorite etc. Tunguska 106th Anniversary 30JUN2014 - Comet or Asteroid forget the UFOs! 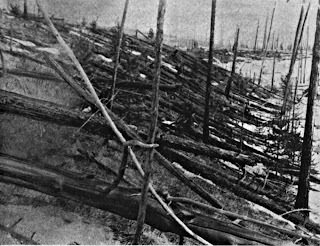 Next Monday, Monday June 30, 2014 marks the one-hundred-sixth anniversary of the Tunguska impact event in Russia of June 30, 1908. Meteor sighted by Sky Sentinel over Melbourne, FL TODAY! Asteroid 2014 AA, discovered on 1 January 2014 by Richard Kowalski at the Mount Lemmon Survey, the second asteroid detected before Earth impact. 4 kilotonnes of TNT (17 TJ)  30–47 km  Sutter's Mill meteorite. Numerous fragments from object recovered. Analysis determined it was a Carbonaceous chondrite. 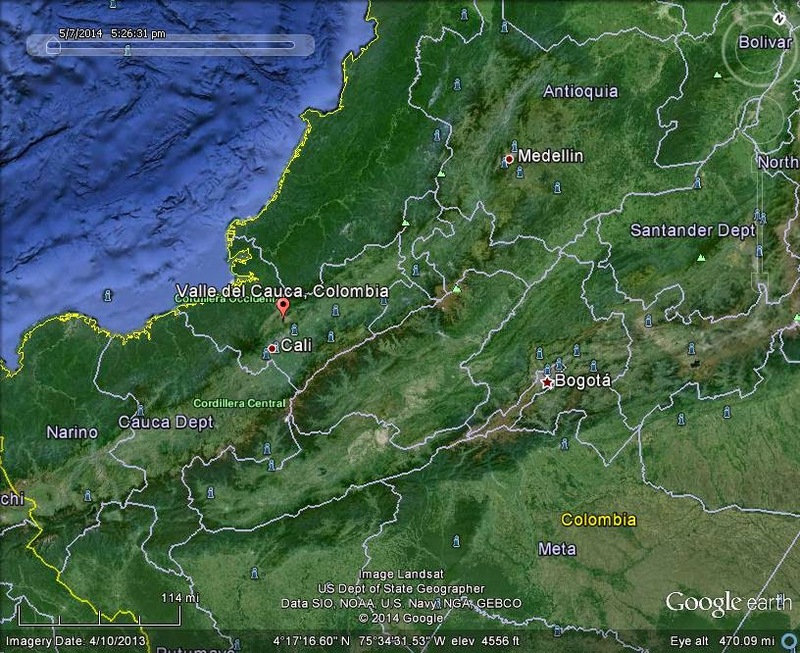 31–50 kilotonnes of TNT (130–210 TJ) 25 km (16 mi) No meteoritic material found (most likely fell into the ocean). Occurred ~03:00 UTC; ~11:00 local time. 0.9–2.1 kilotonnes of TNT (3.8–8.8 TJ) 37 km (23 mi) 2008 TC3, the first asteroid detected before impacting Earth;discovered by Richard Kowalski at the Mount Lemmon Survey,. It was the first time that an asteroid impact had been predicted prior to its entry into the atmosphere as a meteor. 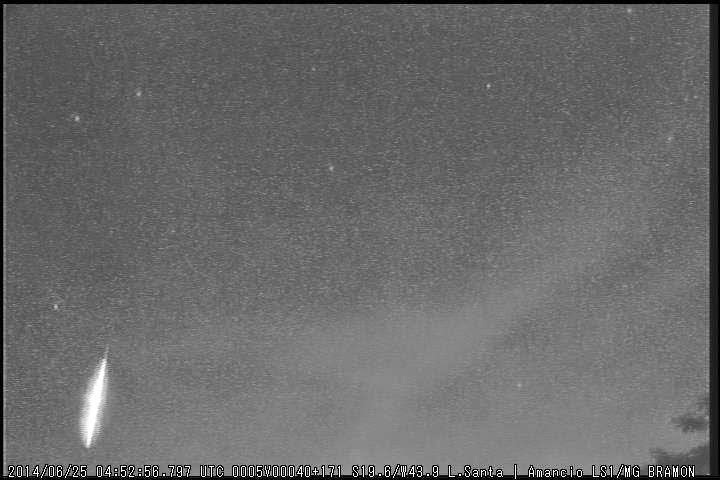 40 km (25 mi) Superbolide that was observed as far as northern Lapland. Meteoritic material was suspected to have landed southeast of Oulu but none has been found. 12 kilotonnes of TNT (50 TJ) 28–30 km (17–19 mi) Asteroid 7–10 meters in diameter. Coordinates are for dust trail observed an hour after event by NASA's Aqua satellite. 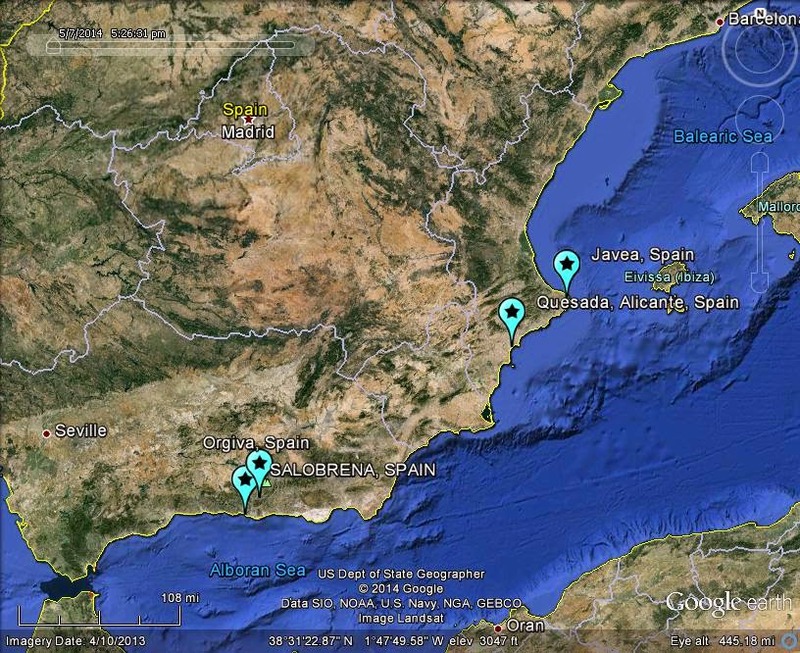 Event was observed also by military satellites and by infrasound stations. Dust was observed 7 hours after event by LIDAR in Davis Station. 1.7 kiloton  One airburst at ~08:00, fragments recovered Tagish Lake meteorite. >0.064 kilotonnes of TNT (0.27 TJ) >25 km (16 mi) One airburst at 46 km, three more breakups detected between 25 and 30 km. No remains found so far. Yield only based on luminosity, i.e. the total energy might have been considerably larger. 11 kilotonnes of TNT (46 TJ) 21–34 km (13–21 mi) Marshall Islands fireball (4–14 meters in diameter). Two fragments exploded at 34 km and 21 km of altitude. This impact was observed by space based infrared (IR) sensors operated by the U.S. Department of Defense (DOD) and by visible wavelength sensors operated by the U.S. Department of Energy (DOE). >10 kilotonnes of TNT (42 TJ) 30 km Superbolide airburst caused by the breakup of a low density meteoroid traveling at approximately 26 km/s. 0.6 kilotonnes of TNT (2.5 TJ) 13 km (8 mi) Two very small fragments found - 48 milligrams (0.0017 oz) and 94 milligrams (0.0033 oz). Stored at University of Alberta, in Edmonton. Photographed. 0.6 kilotonnes of TNT (2.5 TJ) 13 km (8 mi) No material from meteorite found. Photographed bolide body. 0.6 kilotonnes of TNT (2.5 TJ) 13 km (8 mi) 1 g (0.035 oz) material from meteorite found. Sometimes placed in Southeastern Canada on May 31. 176–356 kilotonnes of TNT (740–1,490 TJ) A bolide was detected infrasonically approximately 1,100 kilometres (680 mi) west-south-west of the Prince Edward Islands off the coast of South Africa by a U.S. government instrument network designed to detect atmospheric explosions. 10 kilotonnes of TNT (42 TJ) Sikhote-Alin meteorite. Estimated explosive yield of 10 kt equivalent. 1941.04.09 Ural mountains, Katav-Ivanovo district of Chelyabinsk region Russia Катавский болид (Katavsky bolide). Residents of several localities had seen a fireball flying at a high speed in the dark sky, followed by roaring likened to the sound of a speeding steam locomotive. Fragments were left as a result of the event. On June 24, 1938 a meteorite fell in the vicinity of Chicora. Named the "Chicora Meteor", the 450+ tonne meteorite exploded approximately twelve miles above the Earth's surface. 190 kilotonnes of TNT (790 TJ) 15.7 km (9.8 mi) Shattered windows. Likely connected to the δ-Arietids meteor shower. 9–5,000 kilotonnes of TNT (38–20,920 TJ) Generally assumed to be generated by three meteor fragments. An astrobleme of 1 km was found on the ground, but may be related to an older feature. It is also known as Brazilian Tunguska or Curuçá Event. A gigantic meteor was seen approaching from the east. A brilliant flash of light, thunder and an earthquake lasting 3 minutes were reported. Considerable damage to property and broken windows were reported over a very large area as well as disruption to telegraph, telephone and electrical power systems. 20 km (12 mi) Produced the largest amount of meteoritic debris ever found on Finnish soil, weighing 328 kilograms in total. Bjurböle Meteorite  The heaviest single meteorite weighs 80 kilograms and it is currently located in the Finnish Museum of Natural History. Exploded over a light vessel, at ~02:00, "showering the deck with cinders." Thank you to the author/s of this compilation in Wikipedia past and future! Another bright event! June, 25 at 04:52 UT Camera: SCB-2000. Category. Science & Technology. License. Standard YouTube License. Show more. Meet bridgmanite, which is found deep beneath Earth's surface and was identified in a meteorite. Gainesville, Florida arrived from google.com on "Latest Worldwide Meteor/Meteorite News" by searching for huge.bright.white ball of light falling from .